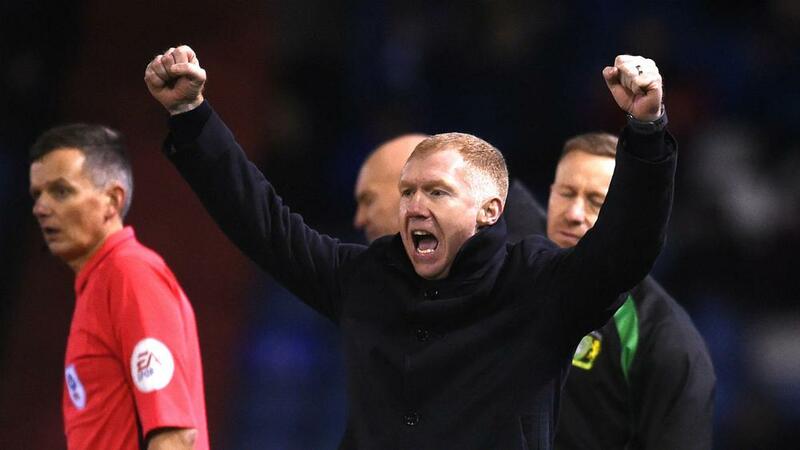 Paul Scholes' managerial career got off to a sensational start on Wednesday (AEDT) as Oldham Athletic cruised to an emphatic 4-1 victory over Yeovil Town in League Two. Scholes took his first steps into coaching on Monday when he agreed an 18-month contract with the Latics, and the former Manchester United midfielder made an immediate impact. Having made two changes from the Oldham side that beat Crawley Town 3-0 on Saturday, Scholes had to wait until first-half stoppage time for the opening goal of his tenure. Jose Baxter provided the finishing touch after excellent work from Gevaro Nepomuceno and Johan Branger, the midfielder bringing a smile to his manager's face on the sidelines with a low strike. Oldham doubled their advantage six minutes after the restart through Callum Lang, and after Yeovil had pulled one back, they sealed victory with two late goals. Mohamed Maouche restored Oldham's two-goal cushion, before Christopher Missilou rounded off a brilliant start for Scholes.